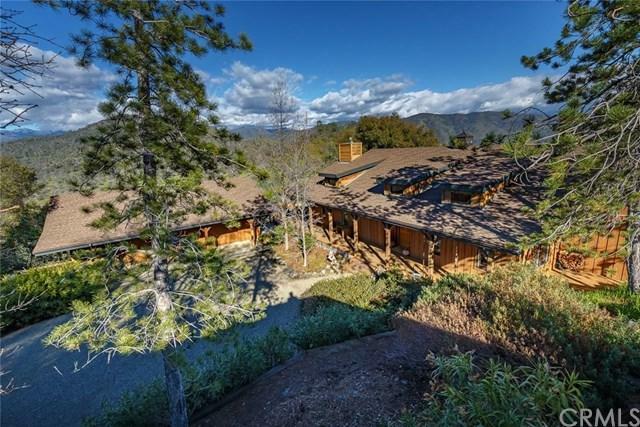 Atop the mountain, with interconnecting stairs, are two uniquely designed homes totaling 4,200 sf with 4 bedrooms and 4 baths. 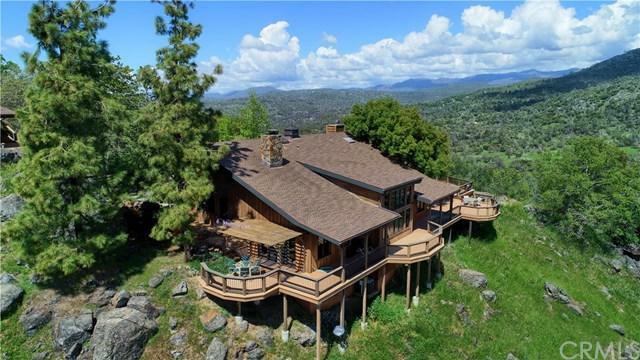 Touted as having the best views in Mariposa County, this gorgeous property know as Indian Peak Ranch is a must see. 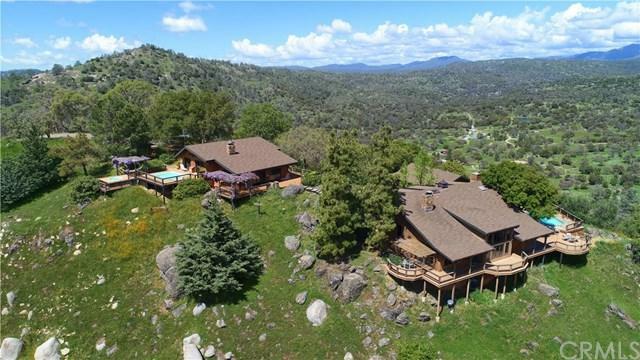 The two homes, both with gorgeous views, sit amongst giant granite boulders on 122 private acres (one 61 acre parcel with existing structures, and an additional 61 acres parcel awaiting future development). The architect designed 2,750 sf split level main home built in 1998, with high open beam ceilings, has 2 bedrooms, 2 baths, laundry room, large study/family area, all on the upper level, while the great room with living, dining and kitchen/breakfast/pantry are on the lower level. 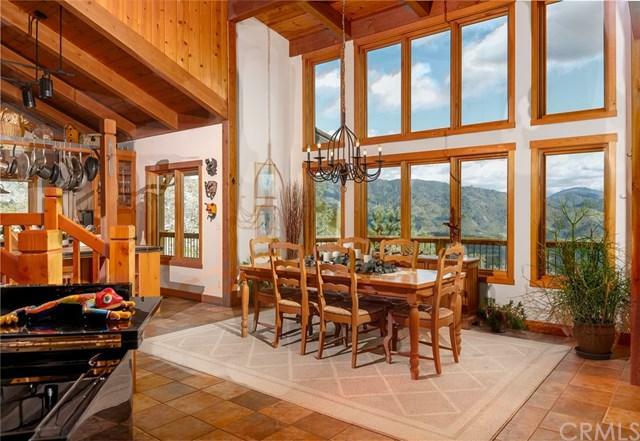 The living area features a massive 2-story stone Rumford fireplace while the study/family area features a wood-burning stove encased in rock. Surrounding the main home is 2,000 sf of redwood deck, plus a pool and hot tub with additional decks finished with Mariposa Slate. There is also a 900 sf 3-car garage adjacent to the main home. The 1,450 sf split-level guesthouse built in 1979, and with income potential as a vacation rental, has 2 bedrooms, 2 baths, with a great room and newly renovated kitchen. Not unlike the main home with high open beam ceilings, it also features a multi-story stone fireplace while the master bedroom has a wood-burning stove with stone surround. To get to the top of the mountain there is a half-mile paved driveway.